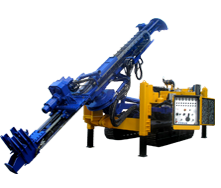 Water well drilling rigs through direct circulation, reverse circulation, DTH and reverse circulation with DTH systms. 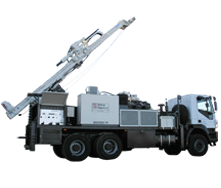 Drill rigs for the geotechnical, soil mechanics, mining, coring and SPT tests with tungsten carbide rings or diamond rings. 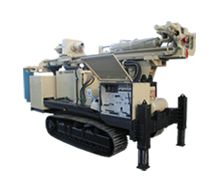 Drilling rigs designed for specific geothermal works, made for 150 meters depth and 165mm of diameter. 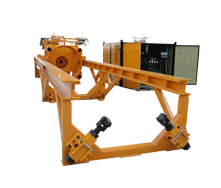 Pushing equipments for drilling and installation of large diameter casing, both concrete and metal pipe. 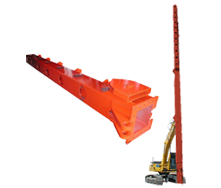 The cutting machines are open shields or arm backhoe roadwork. Equipment to execute wick drains with a stroke of 20 meters. 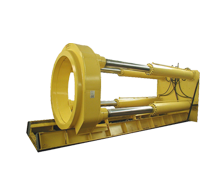 It�s a mast can be mounted on an excavator base, and that can perform about 5,000 linear feet/day of drains.